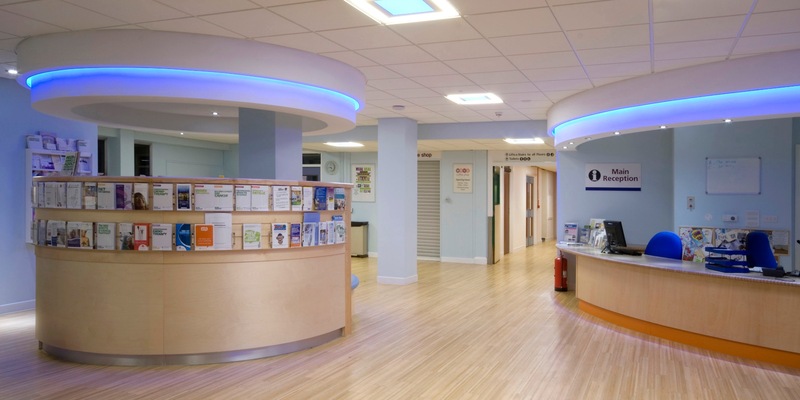 A phased upgrade of existing facilities within a fully operational hospital. 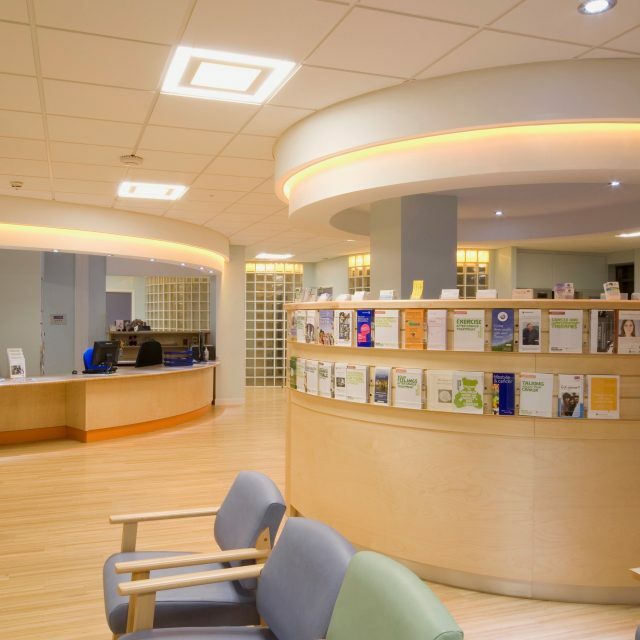 The project transformed the patient and staff experience of the building, providing much improved reception, clinical and treatment facilities. 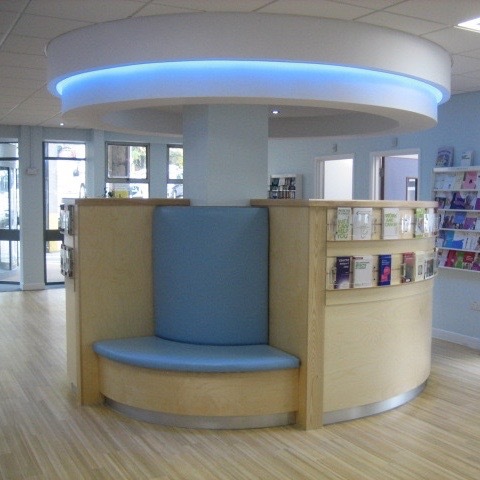 The main entrance areas were completely redesigned with colour scheme and materials being chosen in close consultation with user groups. 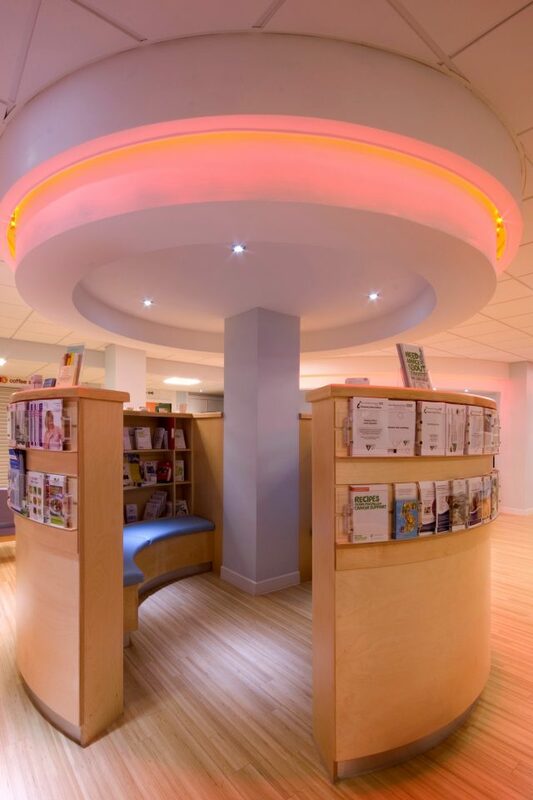 Innovative storage, seating and colour change LED light fittings were incorporated to produce a welcoming and engaging environment. An artwork project with patients and ex-patients was undertaken at the same time, concluding with artwork designed specifically for the project.